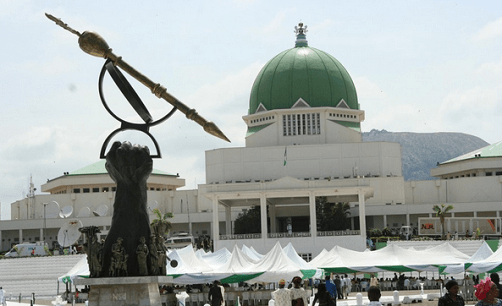 How Much Federal and State Lawmakers Earn in Nigeria. It is no longer news that legislators in Nigeria are the highest paid in the world. The salary and allowances of one lawmaker in Nigeria amounts to millions of naira despite the fact that the elected officials are doing little for the average citizens. No wonder the recent call for the review of the current salaries and allowances of the nations’ public office holders has received approval of many members of the public who have complained that Nigerian law makers are getting too much. Here is the summary of how much the lawmakers make in the country. The Senate President has a total Annual Basic Salary of N2, 484, 242.50 and Annual Allowance of N6, 210, 606. 25 , making a total Annual salary of N8, 694, 848.75 which brings the monthly salary to about N724, 570.75. In addition, he collects 250 per cent of his Annual Salary as Constituency Allowance. However, his vehicles and their maintenance are provided by the federal government. Similarly, his domestic staff, entertainment, utilities, security responsibility, Legislative Aids, House Maintenance an, as well as a Special Adviser and a Personal Assistant are provided by the federal government. Similarly Robe (clothing) and newspapers are provided for the Senate President. The Senate Majority Leader receives a salary of N12, 968, 960. The Minority leader receives a total annual salary of N12, 908, 168. The Whip receives N12, 867 . The same applies to Committee Chairmen. Incidentally in the last administration almost all senators were chairmen of various committees. The allowances received by the members of the upper legislative chamber is far more than their salaries indicate. For instance, each senator receives 75 per cent of the annual salary as allowance for a vehicle and its maintenance. They collect another 75 per cent of their salaries for domestic staff; 30 per cent for entertainment; 30 per cent for utilities; 25 per cent for robe (clothing); and 250 per cent as Constituency Allowance. Others include, another allowance unspecified which stands at 53 per cent; newspapers 15 per cent; Personal Assistance, 24 per cent; and House maintenance 5 per cent. In addition, the Leader receives 10 per cent for Responsibility; Minority Leader 7; while the Whip and Committee chairmen receive 5 per cent for the same purpose. Ordinary senators receive a basic salary of 2,026,400.00; annual allowance of N10,739,920.00 , bring it to a total of N 12,766,320.00. Other non-regular allowances include 300 per cent gratuity for the Senate President; and estacode of $1, 00 per night for foreign trips, as well as, a N37,000 per night duty tour allowance. All the senators who finished their terms are therefore entitled to 300 per cent of the annual salaries as gratuity. The Deputy senate President gets N32,000 per night as Duty Tour Allowance. Senators receive $1,000 as estacode and a duty tour allowance of N23,000 per night. At the House of Representatives, the Speaker receives a total annual salary of N 4,334,942.50. Just like the Senate President, the federal government provides his vehicles and their maintenance . His domestic staff, entertainment, utilities, security responsibility, Legislative Aids, House Maintenance an, as well as a Special Adviser and a Personal Assistant are provided by the federal government. He receives 75 per cent of his salary as constituency allowance. The Deputy speaker whose annual salary stands at 4,002,309.94 enjoys similar benefits as the speaker. The Majority Leader of the House, the Minority Leader, the Chief Whip and Chairmen of Committees receive annual salaries of N 6, 352,680.00. In addition, they receive 50 per cent of their salaries as Vehicle and Maintenance allowance; another 50 per cent for domestic staff; 10 per cent for utilities and another 10 per cent for House maintenance. In addition, they collect 75 per cent for constituency allowance, 25 per cent for personal Assistant. Other members enjoy similar allowances. At the House of representatives, the speaker receives $790 estacode per night and N32,000 per night for domestic trips. The Deputy Speaker receives $750 and N30,000 for estacode and Duty Tour, respectively. Members receive $550 and N21 ,000 for estacode and domestic trips , respectively. Speakers of the State Houses of Assembly enjoy all the benefits as their federal counterpart where virtually all they need are provided with public funds. However, their annual salaries stand at N 2,049,843.75 and a Constituency Allowance of N25 per cent of their Annual Salaries. Deputy Speaker receives N 1,807,478.13 and 25 per cent of same as constituency allowance. Members at the House of Assemblies receive annual salaries of N 2,473,866.25. In addition, they receive 20 per cent for vehicles; 25 per cent for domestic staff, 10 per cent for utilities; 25 per cent each for robe, constituency , Personal Assistant and 5 per cent for newspapers.